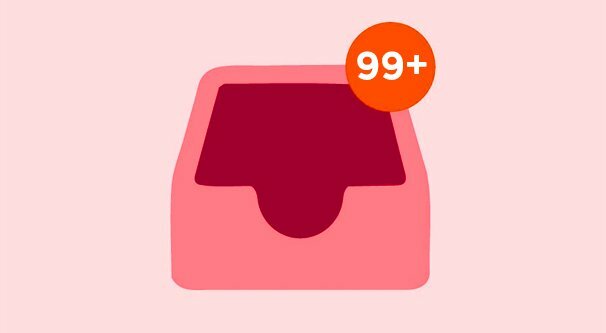 Blog > Instagram > Can You Get in Trouble Sending Too Many DMs on Instagram? Instagram DMs are direct messages from you to another user. It’s an on-platform messaging system you can use for a wide variety of purposes. You can message people to tell them you like their content. You can message people to try to network with them, as an influencer. You can send offers and inquiries. You can ask for more information about a product or service. There’s no end to what you can do. Well, that’s not strictly true. 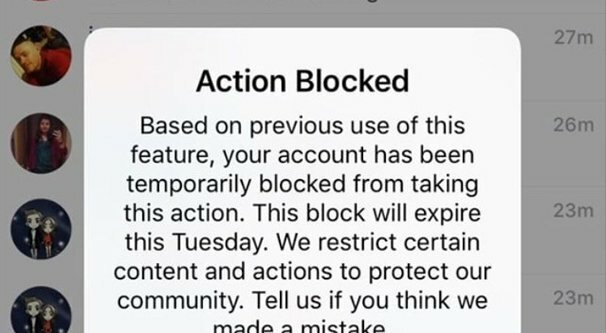 While there’s an infinite variety of possible topics, Instagram imposes limits on the use of their direct messaging system. Before I dig into the specific limitations, first I need to explain something. Instagram direct messages are changing, and they’re changing constantly. In the past, they were a direct messaging system built into the app, and limited only to the app. You couldn’t access or reply to your messages from a desktop platform at all. Over the past couple years, Instagram has been making a few more changes aimed at making their platform more accessible to marketers. The partnership with various business platforms, allowing apps to access their posting API and schedule posts, is one such change. Another is the rollout of Instagram Direct. Remember a few years ago, when Facebook used to have their own private messaging system built into Facebook? And then they rolled out Messenger, and started pushing people to use that instead? And how now the only messaging you can do on Facebook is with Messenger? Instagram is sort of doing the same thing. 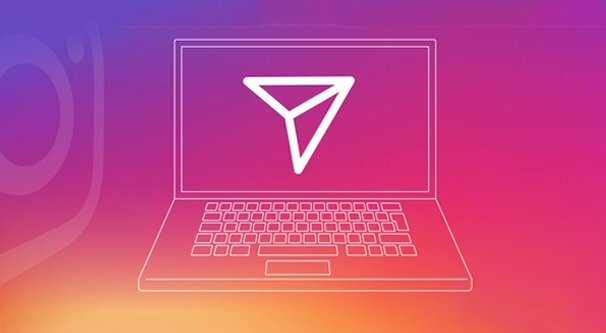 Instagram Direct is the name of the direct messaging platform Instagram created back in, oh, 2013 or so to give users a way to contact one another privately instead of publicly through photo comments. Since then, they’ve been doing a lot to change and update how the platform works. Instagram Direct is basically an Instagram-flavored version of Messenger, in a sense. It handles your usual plain text messages, but can also send photos and videos, can send timed self-destruct videos and photos, and can share Instagram features like profiles, hashtag links, and location tags. It can work for one on one chats as well as group chats, just like Messenger. You’re going to see a lot of comparisons to Messenger, because Facebook owns Instagram and it makes sense that they want to mimic the features they’ve developed successfully on one platform for the other. Instagram Stories have made their way to Facebook, and Messenger is making its way to Instagram, in a roundabout fashion. 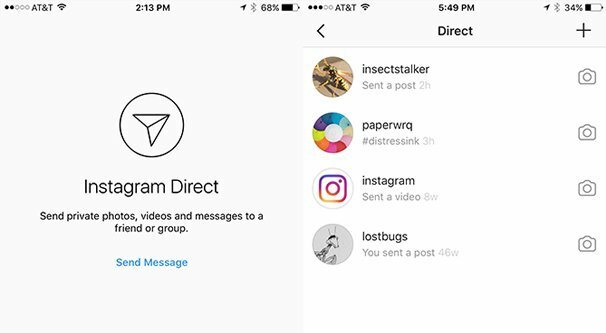 There’s a lot of relevant information you can find about Instagram Direct, but some questions simply don’t have accessible answers. The limit on the number of messages you can send is one such piece of information. I’ll talk more about that in a bit. First, though, more details on how Instagram Direct works. DMs through Direct work in a similar way to other sorts of messages on other platforms. You create a chat with other people, one or many, and you can message them and they can message you. You can send a variety of different kinds of content, but traditional privacy rules apply. If someone sends you a post directly but you don’t have permission to see that post, you won’t see it. For example, if it’s from a private account you aren’t approved to follow, you won’t see the post. In order to send someone messages, you simply need to be using Instagram. However, the behavior of those messages changes depending on whether or not the user in question follows you. If they follow you, your messages appear in their inbox directly. If they don’t follow you, they appear in a message request section, similar to how Facebook Messenger separates messages from people you’re not friends with already. If the user approves the message, they are essentially added to your “contacts” internally, which means future messages don’t need to pass through the request quarantine. Basically, this is a way to discourage spam. This is important to know if you’re a brand and have to deal with incoming messages on a frequent basis. You need to check your message requests frequently to see if there are any new incoming messages, and approve them so you can communicate with those users. I highly recommend doing this rather than trying to shuffle them off platform, because the experience is a lot smoother. Abusive or spam messages can be reported. A user simply needs to open the conversation, tap and hold the abusive message, and choose report from the context menu that appears. Messages that are reported go to Instagram for review, and if they are found to be abusive or spammy, the sender can have their messaging privileges revoked or their account suspended. Additionally, anyone can block another user, which prevents them from sending you messages. Disappearing messages, in the form of photos or videos, can be sent through DMs. They can be viewed only once before they disappear, unless the sender allows replay, which allows the message to be looped once before it disappears. You can also choose to allow a preview image of the disappearing message to linger in the chat history, though it can’t be viewed again. Disappearing messages can only be sent to people who follow you or who have approved messages; they cannot be the initial contact. Instagram Direct also allows you to unsend a message if you want. By tapping and holding on a message you want to unsend, you can click to unsend it. This removes the message from the conversation, but much like deleting an email, there’s always the possibility that someone in the chat has already seen it. Group conversations can have up to 32 people in them, though video chat can only be shared by up to six at once. A group of 32 is generally worthwhile for large friend groups or for marketing purposes like webinars, though there are many better platforms for that kind of marketing so I wouldn’t recommend it. If you want to learn the specific steps on how to do anything with Instagram Direct, like sending specific kinds of content or adding people to a conversation, you can read their help directory here. Facebook announced just recently that they’re adding a new feature for business users of both Facebook and Instagram. Specifically, they’re linking the messaging inbox between the two sites. 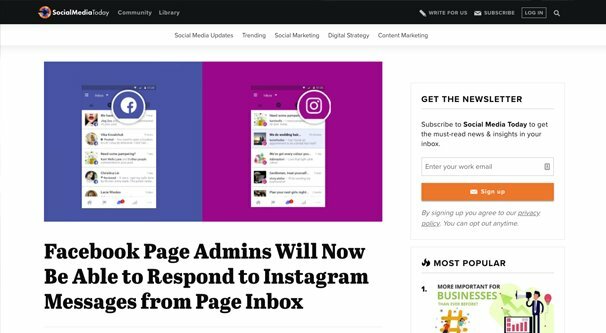 Business users on Facebook will be able to see and reply to direct messages on both Facebook and Instagram from the same inbox, the Facebook Page Inbox. Basically, from within the new Pages inbox, you will see the Messages section off to the left, and there will be two tabs; one for Messenger and one for Instagram Direct. You can see and respond to messages on both directly from the same platform. This is very convenient if you’re managing active profiles on both. This works on desktop, but it will also be available through the mobile Pages Manager app, so you can manage your contacts on the go. You can read more about this new change over here. Stay tuned for further integration between Facebook’s various messaging platforms. Facebook has been talking about deep integration between Messenger, Instagram Direct, and even WhatsApp for some time. This is just one step of this grand unification process. I would be absolutely unsurprised to find WhatsApp added next, and then the whole aggregate mass refined and turned into a sort of Messenger 2.0 within the next handful of years. They’ll take it slow to avoid losing users through rapid changes, but it’ll happen. So, to go back to the original question, is there a limit to the number of DMs you can send on Instagram? Is there a cap, is there a rate limit, is there a penalty for sending too many? The answer is yes, but also no. Yes, I know that makes no sense. You’ll see what I mean. Ask anyone who uses Instagram for marketing through DMs and they’ll tell you there definitely is a rate limit. Then, if you ask them what the limit is, they’ll give you a number that’s different from what another person may give you. The fact is, there’s no fixed, hard-and-fast rule for a rate limit for DMs. Instagram uses a dynamic set of adjustments based on a variety of factors, and absolutely none of it is published anywhere. As far as Instagram’s help center is concerned, there’s not even a limit in place. What I’ve done is scoured reports and complaints about rate limits and caps, to give you some idea of what people are experiencing. I’ll present you the evidence I’ve found below, and draw some conclusions. None of this is verified or corroborated by Instagram themselves, so take it all with a grain of salt. First of all, one report from BlackHatWorld speaks of a guy sending the same DMs to people over and over as part of his sales techniques. He’s been doing this for some time, and is often reaching users who aren’t following him. As of his post – in 2017 – his account was only able to send about 2-5 DMs per hour before his account has direct messaging privileges revoked for 12-24 hours. By his own admission, he has been at this for a while. He also has another account, that is both newer and does not have a history of infractions, that can send 15-30 messages per hour without issue. Of course, given that this is BlackHatWorld, discussion immediately turns to how “sending the same message to non-followers over and over with intent to sell products” is not spam and is instead a great and personal way to connect with an audience. They discuss how many variations of the message need to be rotated in before Instagram stops catching on. My conclusions from this set of posts are mostly that Instagram looks for repeated messages that fit the bill as spam. The same message or set of messages being sent to non-followers over and over is liable to induce a block. Then, repeated infractions will see lower and lower limitations placed, until eventually the ability to send direct messages at all is revoked entirely. This Reddit thread, also from 2017, indicates that reported messages are a strong negative modifier. Even if you’re using an account in good standing with a lot of varied and creative messages, if a few people start reporting it as spam, Instagram will likely crack down hard. A small post on a bot promoting page I’m not going to link or name, meanwhile, mentions that the daily cap tends to be around 100-150 DMs per day for accounts in good standing. This is spread out over the course of a full day, 24/7, so trying to send 100 DMs in an hour is likely going to run into issues. This is, of course, assuming that it’s sending messages to roughly that many different people; an active group chat can have over 100 messages in an hour just fine. 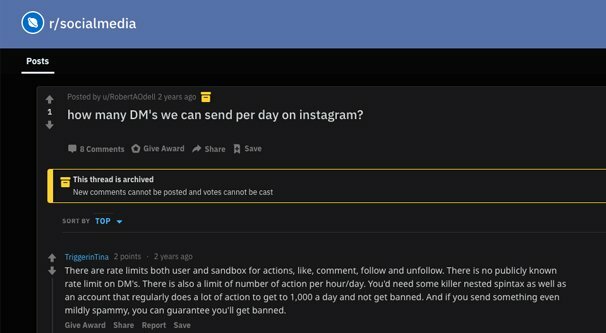 Another black hat forum has a similar discussion where a user indicates that they limited their messaging bot to 7 messages an hour, with a maximum of 35 per day, and ended up being hit with a 6 day block from sending messages. Other people in the same thread talk about sending 50 messages per day without getting blocked. For the most part, this tells me that those people haven’t been caught. This Quora thread includes a guy mentioning that his experience indicates that whether or not the message is the same or varied doesn’t seem to matter, but in my mind this just means he also hasn’t been caught. My view is that sending repeated messages, regardless of whether they’re carefully spun or not, is going to get you restricted eventually. Instagram’s passing random checks can catch you, and any reports will get you nuked quickly. DMs are a secondary feature and your marketing should not rely on them; use them for legitimate communication and for influencer outreach, not for direct sales.